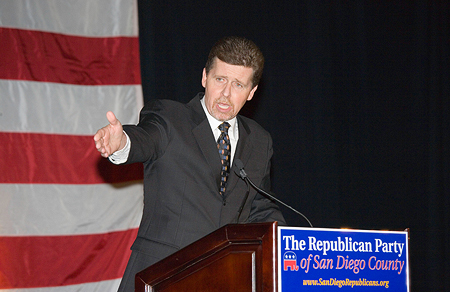 Speaking at the 2008 Lincoln-Reagan Dinner in San Diego. 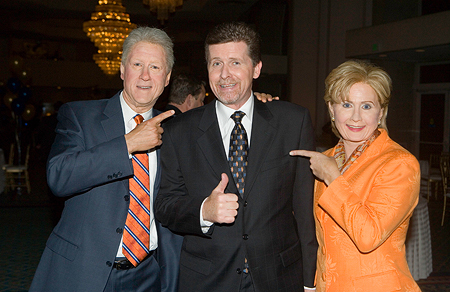 Hanging out with the Clintons. Sort of. Steve Bridges and Marianne Curan, often seen on the "Tonight Show". He also does the best impersonation of George W. Bush.